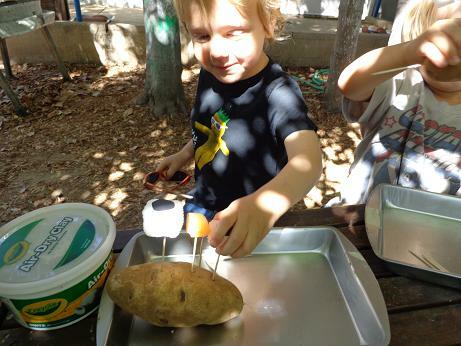 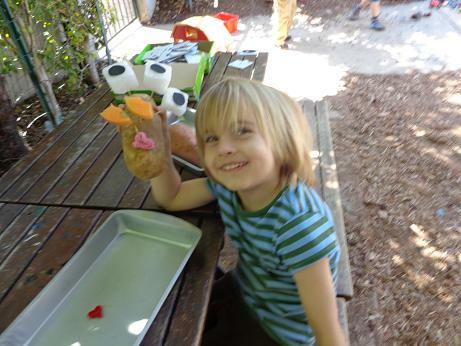 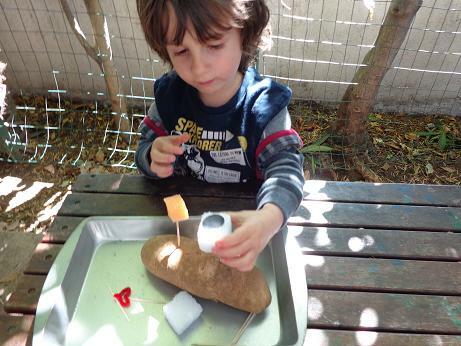 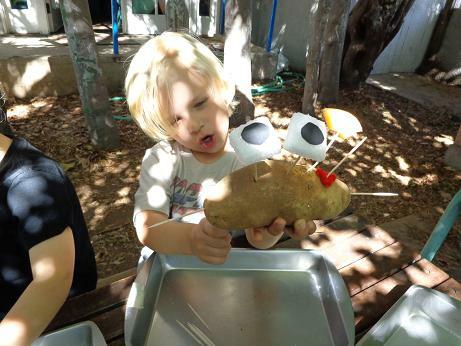 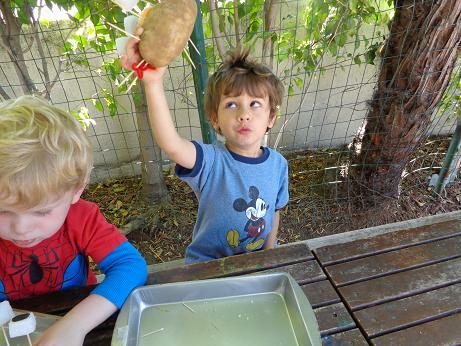 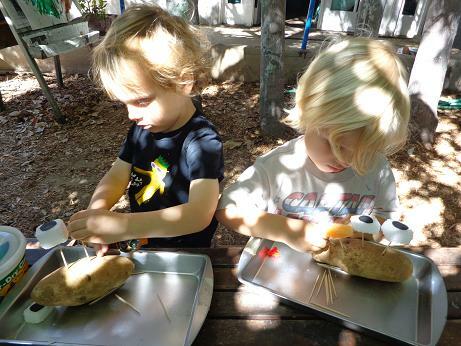 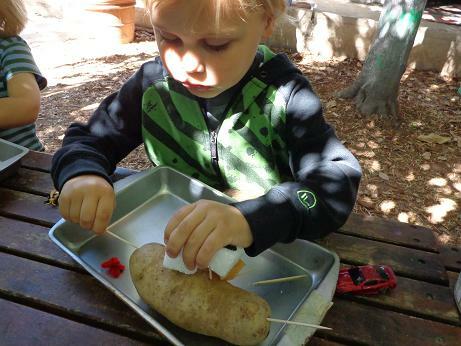 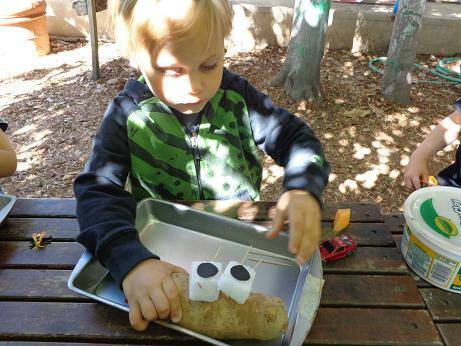 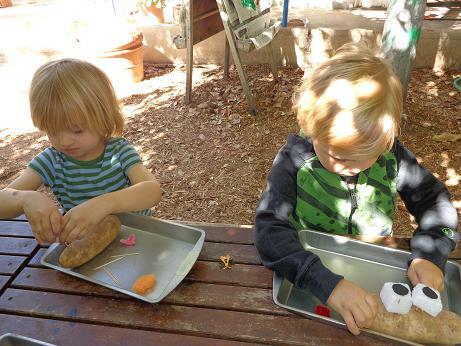 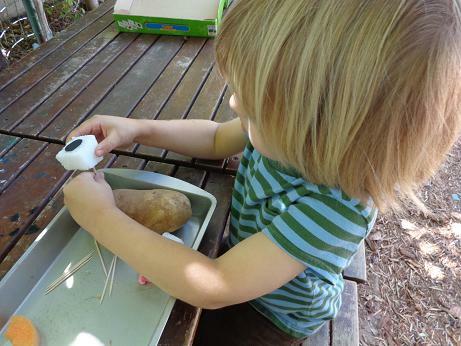 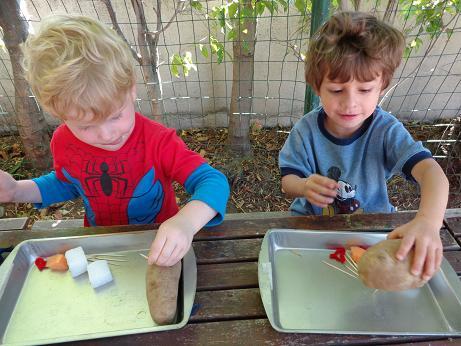 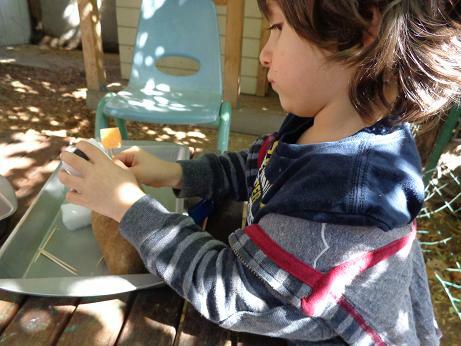 This activity was the favorite of the week, as your little one constructed their very own creatures out of potatoes! 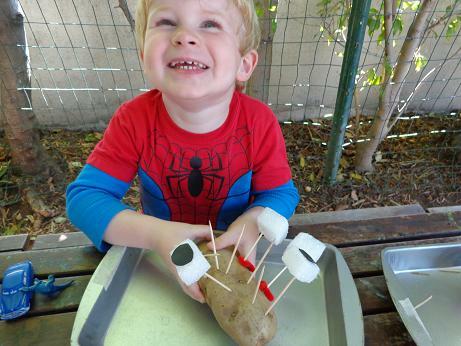 This activity honed in on their hand-eye coordination and fine motor skills! 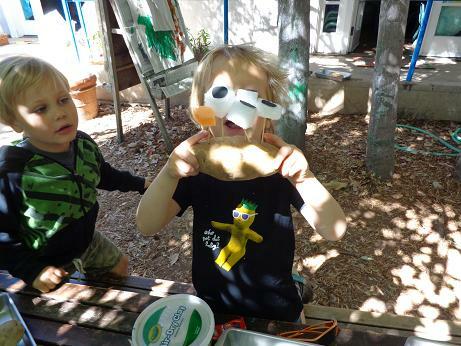 As they arranged and rearranged a variety of facial features, your little ones manipulated space and made their visions come to life!